I had been practicing Yoga with in incredible instructor Naomi Zahler for five years. I knew that she was also certified in Pilates but I never knew what that meant. She finally opened her own basement studio and began to offer exclusive Pilates classes so I decided to go. I’m a runner and at the time also a frequent Yoga student. I like a good workout not necessarily for the sweat but for the post-workout feeling of satisfaction. I went to my first mat Pilates class and I was BORED!!!! So so very bored…until the end. It was in the final moments when she instructed us to rebuild our spine one vertebrae and a time, when I suddenly felt 10 feet taller, my core still engaged and active, all at the same time as feeling relaxed? I continued to go. Twice a week, included a Reformer class in there and BOOM my body responded, changed, leaned out, toned and I was hooked. Friends commented about my arms, and asked what was I doing? Lifting weights? “Nope” I said. I haven’t touched an actual dumbbell in almost 7 years. Exercises using my own body resistance, some incredibly useful props and BAM I was a Pilates fanatic and I told everyone. Friends who are trainers laughed at the idea (one who now owns her own Reformer) and others said that without a real sweat they just don’t get enough of a workout….they are now some of my clients. Temporarily off work for the first time in a long freelance television career, I decided it was time. Time to put my passion to the test. To take what I know already and put it into a viable useable practice to teach others. Body Harmonics was the place for me. I had only been there once before but I knew the environment and the people were accessible and I could learn so much. After taking my intensive Mat Certification I’m off to the races and have gained so much knowledge along the way. Whether it’s a client with a broken wrist, someone 50+ years old, or another “me” just starting out afraid they will be bored, I’m changing people’s minds about Pilates while strengthening and toning their bodies and I’ve never been more fulfilled! How the tables have turned…it’s now my turn to change people’s perception of what Pilates is. I’ve been certified now for a month and I already have 20+ clients with inquiries every day! It’s true…if you build it they DO come! For me, this is only the beginning! Marnie Adler B.A., M.A. is a Television Producer/Director and Mat Pilates Instructor? YES! You can have more than one career! Marnie noticed so many amazing changes in her body through her six years as a Pilates student that she wanted to tell everyone! So she decided it was time to teach! Recently certified in Mat Pilates by Body Harmonics, she now takes her passion to a whole other level. Marnie is used to running crews of 100+ people. Teaching is her release and she can whip anyone into shape! She firmly believes that Pilates is accessible to EVERYONE and anyone can start small and build! Marnie’s goal is for her students to ALWAYS be conscious of their core, and to help them strengthen, lengthen, trim and tone! 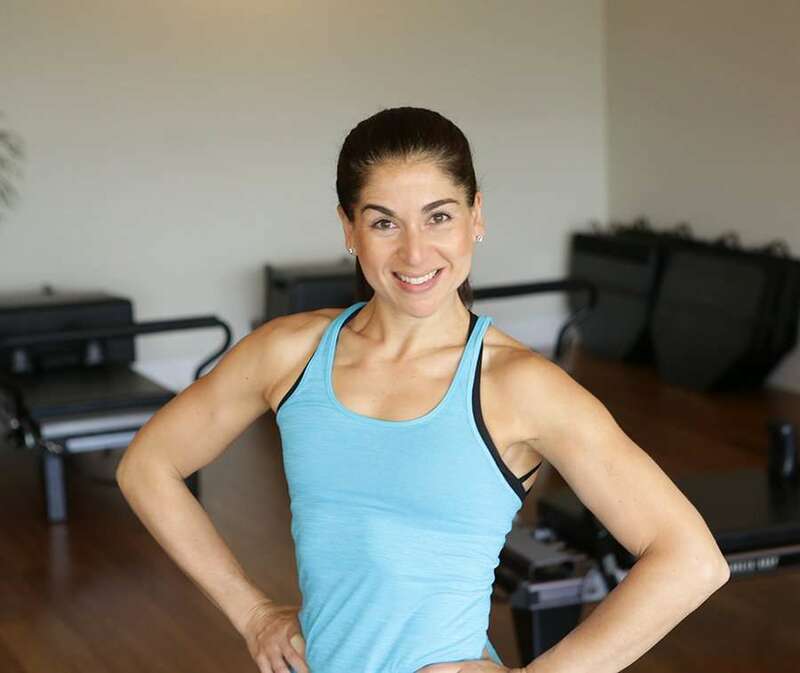 Marnie credits her inspirational Pilates instructor Naomi Zahler, her insanely supportive husband and two beautiful daughters for motivating her to begin this amazing journey.